Atari, the owner of the RollerCoaster Tycoon brand, has started a funding campaign on Start Engine for RollerCoaster Tycoon for Nintendo Switch. The campaign is looking to raise between USD10,000 to USD1.07 million. Americans can invest in the game by funding at least USD250 and get back up to 120% of their investment. 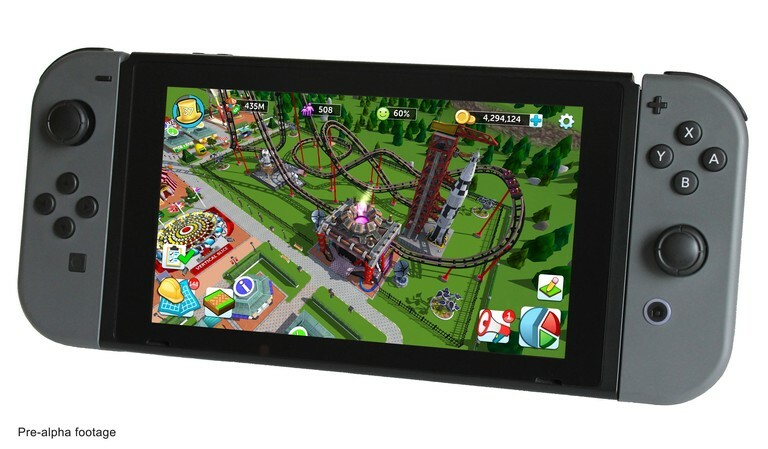 Nvizzio Creations, the developer behind RollerCoaster Tycoon Touch on smartphones, will be handling development of the Switch version. Check out the trailer and more info on the game below. The unique properties of the Switch — which combines standard console functionality with mobile capability — make it a natural home for a franchise like RollerCoaster Tycoon. We can only imagine how much gamers will enjoy building their own theme parks on Nintendo’s wildly popular console. Multiple Scenarios – Complete tricky objectives with specific time limits and other constraints. Sandbox Mode with Various Landscapes – Create the park of your dreams with unlimited time and unlimited resources. Tycoon Career Mode – Expand your park and grow your Amusement Empire. In the months ahead, this Switch version of RollerCoaster Tycoon will begin development, and your investment can make it possible!